Providing go-to resources and global recognition for companies looking to build and expand their community engagement. We believe that companies, their employees, partners, vendors and customers can be drivers of transformative social change in communities around the world. There are so many ways to do this work. Whether you want to create a new employee engagement program, engage employees in service around the world, learn sound citizenship strategies, network with other leading companies, and gain visibility for leadership and excellence. 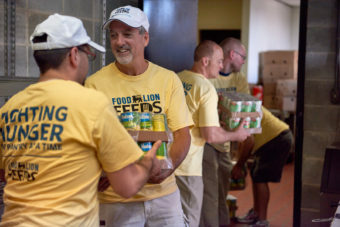 Large corporations and small businesses alike can give back in the communities where they work and live. We work with companies across sectors to help them get more involved. Each company comes to the table with different goals, values and ideas around how they want to do good. Our services and programs help you to get the custom experience and support to reach your goals. Through employee activation, training and custom consulting, we deliver services and solutions to support you in delivering more efficient and high-impact service programs as well as innovative solutions to solve social problems. 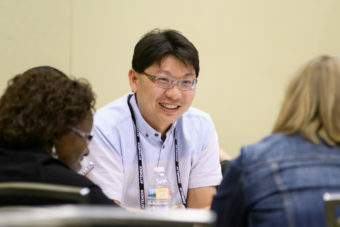 Our Corporate Service Council and learning labs provide opportunities to share with and learn from a network of peers. We bring together like-minded professionals and industry experts so you can meet the needs and challenges of an evolving society. Companies around the globe are leading innovations in civic engagement and corporate volunteering. 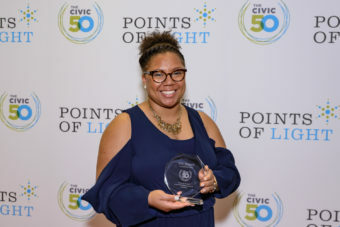 With our annual award, The Civic 50, we recognize the most community-minded companies and share best practices from the sector. Sign up for our monthly Corporate Newsletter. We share reports, news from around the sector, invitations to exclusive events and more. Interested in a custom volunteer activation or want to learn more about joining our Corporate Service Council? We're ready to help you!